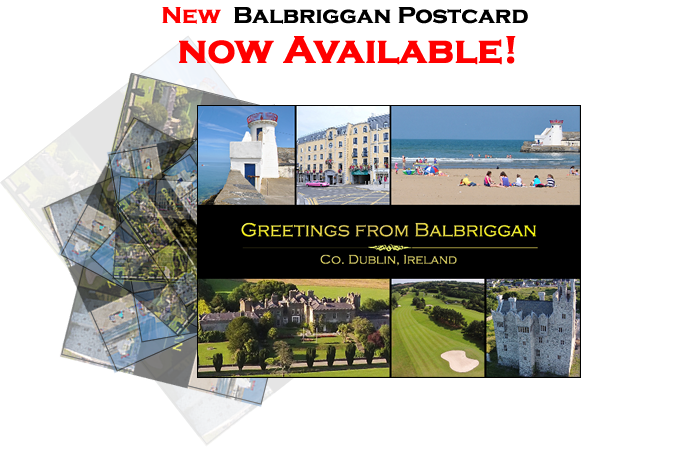 » New Balbriggan Postcard Launched! 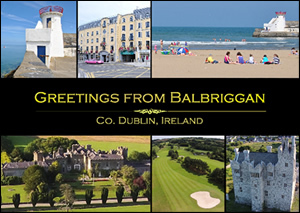 Balbriggan.info are delighted to launch a new Balbriggan Postcard. The postcard contains 6 photos depicting scenes from around the town; Ardgillan Castle, Bremore Castle, Balbriggan Golf club, lighthouse, beach and main street outside the hotel. Very few towns can boast the amenities that Balbriggan has to offer, can you name another town that has 2 castles? If you are interested in selling the Balbriggan postcard in your shop/business simply complete the contact us form on this page, email info@balbriggan.info or call Joe at 087 2563748.